WINNER: Matt: Man, I've gotta get this thing removed. All it does is drink and stare at the computer all day. Trent messed up the hangover cure when he mistook "dog of the hair" with "hair of the dog"
The monkey on Joe's back needed a personal day, so a temp was called to fill in. Nay I don't mind him up there. My last dog was a St. Bernard. When Ted said "Heel," Ernie the Pentecostal Pooch thought he said "Heal!" and began to lay paws upon him and pray in the Spirit. Ernie regrets that, so far, Ted remains enslaved to the demon of alcohol. 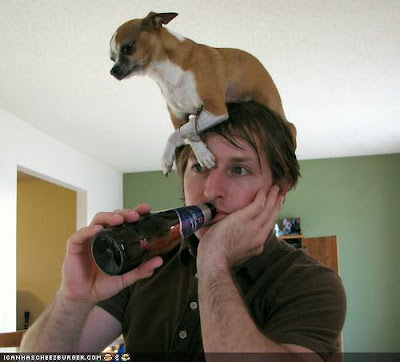 Chico never understood why Bob drank Molson when Dos Equis was so much better. Jack sat amazed at how much his EverQuest playing had improved ever since he started letting Jojo sit in (or on) and give him tips. 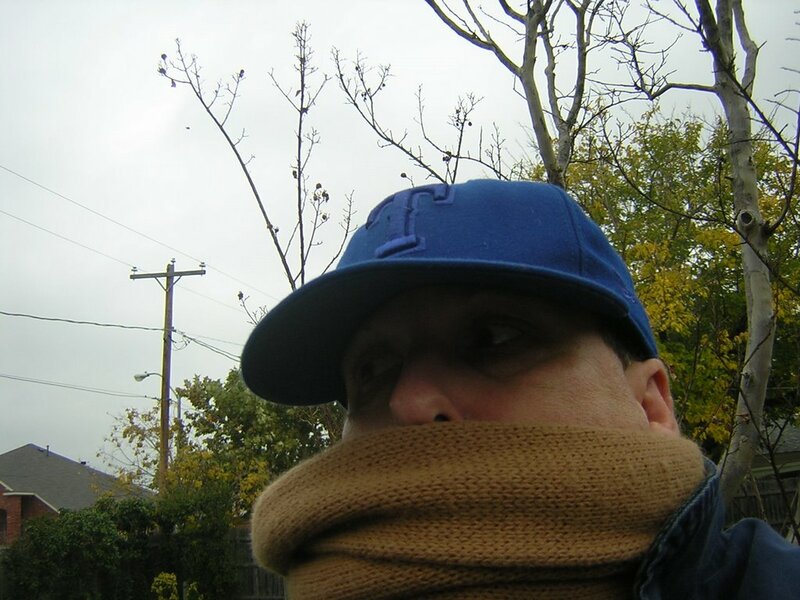 Man, I've gotta get this thing removed. All it does is drink and stare at the computer all day.